Parkview Terrace Realty is the Premier Real Estate Company in Sunset Park Brooklyn. As the leading Realtor in Sunset Park, we have gotten great prices for sellers, and put buyers in the home of their dreams. When selling your home, we look forward to working with you and getting the most for the sale of your home. ParkView Terrace Realty is the Premier Real Estate Company In Sunset Park, Brooklyn. Owned and Operated By Sunset Park Natives, we have have a great relationship with Sunset Park Homeowners and Tenants, as we have been in business for 28 years!!! You'll see our listings posted on Zillow and Trulia. 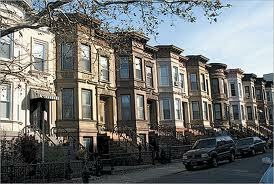 Sunset Park has some of the finest housing stock in Brooklyn as well as in all of New York City. When looking to rent an apartment in Brooklyn, whether that's in Park Slope, Bay Ridge, or right here in Sunset Park, Brooklyn, let us do the footwork for you!! Why is it better to work with a local Real Estate Professional as opposed to a large chain? This is an excellent question. The answer is Local Knowledge. Brooklyn is not one market but an array of micro-markets. For example, Sunset Park is a market with at least 4 micro-markets. We have the area below the BQE. This is a distinct market which is different than the area right around the park. The area around Sunset Park, made up of Pre-War Finnish Coops and intact Brownstone blocks, is distinctly different than the market that runs between 7 and 9th avenues from the the 40's out to 60th street. Another micro-market would be the mid 50's out to 64th street between 4th and 6th avenue. Another reason, and this is big........ What price are other similar houses in the area in contract for? All good real estate agents will look at recent sales in the immediate area of similar houses. They will use these recent sales to formulate the price the house will list for. These are called comparables, or"comps". This is a good way to get an idea of what to list your Home or Coop for. The downside is the most recent sale could have been 6-12 months prior to the listing of your home. The Sunset Parks Real Estate market can change a lot in 6 months. We've seen radical changes in as short as a 3 month period. Between May and August of 2015, house prices jumped $100,000 in value and coops around Sunset Park jumped $60,000 in value. In this stretch of time we saw sellers get short-changed on the sale of their homes. You really can't blame their agent for this. The agent did do their due diligence and used the most accurate information they had access to. However, the BEST way is knowing what price homes in the area are in contract for. There's really only one way of knowing what homes in the area are in contract for and that is to have intimate knowledge of the area. Parkview Terrace Realty has been in the same location here in Sunset Park, Brooklyn for over 30 years. Owned and operated by Sunset Park Native Glenn Sorensen. Homeowners and Co-op owners are our neighbors and friends. TEXT or Call today. We feel we are the Top Realtors in Sunset Park Brooklyn, and our Clients seem to agree! !